This Emmental cheese gets its intense smell from manual care and special storage. You will be amazed. 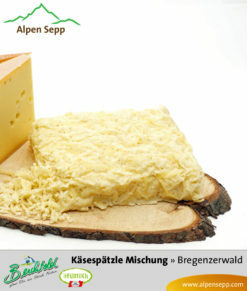 The Premium Emmental from the Bregenz Forest spoils you with a mild, nutty taste and its excellent Alpine quality. 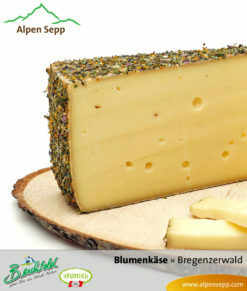 With this Emmental cheese specialty from the Andelsbuch alpine dairy production, you will hold a particularly spicy type of cheese in your hands. 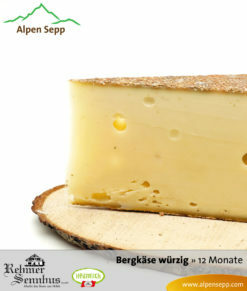 Thanks to the alpine dairy production’s extensive experience and manual care and maturation of the giant wheel, the dairy production succeeds in making a cheese product of the highest quality. The giant wheel, which weighs approx. 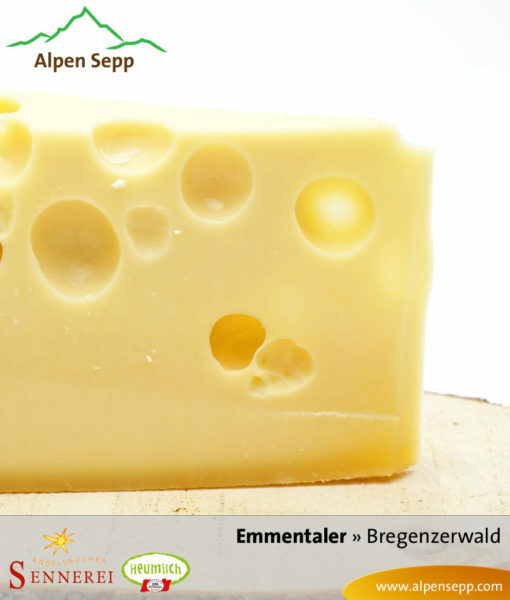 80 kg, and the large holes give this hard cheese its typical, recognizable image. 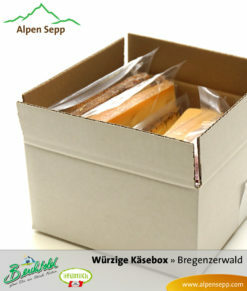 During the maturation, the cheese is stored at 22 °C and often turned. This is the only way that the nice, large holes can form and the sweet, hearty and nutty aroma can develop. 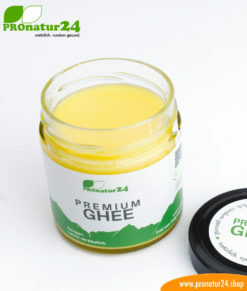 According to old cheese tradition, the fine cheese specialty is made from fresh hay milk, following a special formula and then lovingly looked after during the 10-week maturation period. That is the only way it tastes how spoiled palates like it.